While I appreciate the thought, "Grand Windbag" would probably be more appropriate. Staff contrarian, Pedant in chief... these are the badges this forum needs. Love 1007 yeast. Currently I'm also playing with WLP810 San Fran Lager. However it does produce a bit of fruity esters in my experience. If you want the cleanest ale, 1007 is one-stop shopping. And they say the dry yeast K-97 is the same thing. I haven't tried it yet but I would love to hear others' experience with K-97. EDIT: With respect to "ale" vs. "lager", my own definition is scientific: There are two different species, Saccharomyces cerevisia, and Sacch. pastorianus. S.c. is your normal "ale" or "beer" yeast, and tends to form a bit krausen on top of the fermenting wort, however it doesn't always do this necessarily. S.p. is your "lager" yeast that actually originated from S.c. but through human intervention, lagering in caves, and through interbreeding with other wild yeasts, it developed a way to ferment maltotriose, which S.c. cannot do, and at colder temperatures than most ale yeasts can do. The resulting beers tend to be cleaner and lower in gravity. They also tend to have the krausen form on top initially but sometimes to fall down to the bottom of the fermenting beer, however this does not always happen either. Any differences in ester profiles, flavors, etc., I think are more due to strain-specifics, fermentation temperature, and conditioning time, than anything else. Can you use an ale yeast cold? Sure, it might work. Some ale strains like US-05 have no problem fermenting down to the low 50s like a lager yeast. Can you use a lager yeast warm? 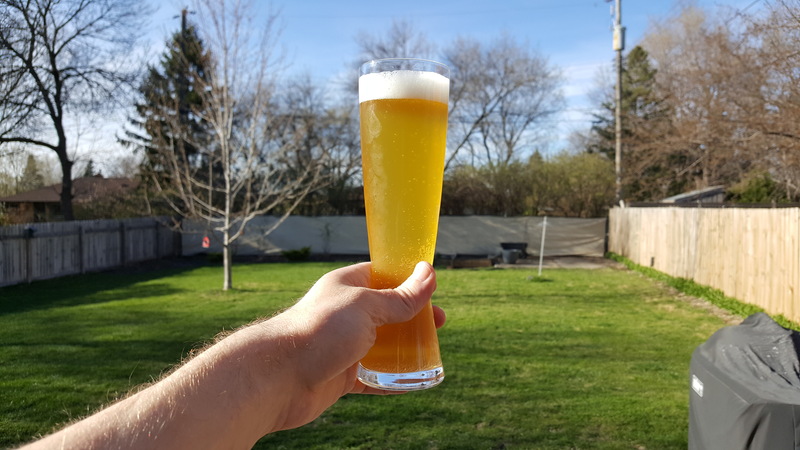 Sure, all lager yeasts will ferment just fine warm, but might give you more esters or funky flavors... but not necessarily either! Play around, experiment. It's the best way to learn. A lot of the literature we have available out there is totally wrong. With experimentation and experience, you'll see just how true this is. I would too. At $3.99 you buy 2 and skip the starter. Lately I've been impressed with some dry yeast. I had one dated December 2010. I thought I would see what it would do and pitched it into a starter. It took right off! I couldn't believe it! Good point, but there was a study done a few years ago that shows a cantillon fermentation done mostly by sacch pastorianus. Doesn't make it a lager, though. My point of view (and I certainly understand yours) is that an outside group shouldn't be categorizing a different culture's beers based on fairly arbitrary guidelines. If the Germans want to make top-fermented lager, who is the bjcp to say they're doing it wrong? My wy1007 starter (pitched the starter this morning) stinks... like literally stinks. Big sulphur. Normal? (I usually live in the world of British and American yeasts, so forgive the dumb question). Yeah, normal. It will turn out awesome. Ran across this article today that has seme relevance to this thread. Yeast Comparison: Safale US-05 vs. Saflager W-34/70 | exBEERiment Results! Closing the loop. I really freaked out about the sulphur, but it finally went away. This is a drinkable first attempt! Really soft, kinda neutral. A bit of nuttiness from the malt, instead of the breadiness that I usually associate with a pilsner. Not as crisp, either. I hopped with saphir late addition, and its subtle, but kind of orangey... vaguely reminds me of marmalade. Next attempt, I might bump up the 60 minute addition for a little more bitterness, add a little acid to my distilled water regimen, and pick a spicier flavor hop. Man, I want to sit there with you and drink a couple of those! Sounds like a really interesting beer. I've never used saphir. What hops did you bitter with and to what IBU? I've been using german Magnum or czech saaz to 29-30 ibu. Given the softer taste of the faux pils you may need more bittering. What water profile did you use? I've tried building up from distilled and settled on using my well water with lactic acid to cut the pH and alikilinity. I like the well water best for my pils. I feel like it gives the pils more pop. It accentuates the malt profile and gives the hops more of the bite and the beer more of the dryness I'm looking for. With a Helles I like distilled better. It's softer. Last time I brewed 12 gals of pils I used 9 ml of lactic in the strike water to mash at 5.4 and 9 in the sparge to hit 5.2 kettle pH. It's the best cz pils and closest to urquell I've ever brewed. It's all about the water. I've used the same grist bill and hop schedule dozens of times. I bittered with Northern Brewer to 30 IBUs. I've effectively clobbered my palate with IPAs, so probably need to bump that up a bit. I build up from distilled and had a bit of a hard time coming up with a profile on this. Since I use distilled, I've never really done an acid addition before, and tried to avoid it here. I went with super light touches of calcium chloride and gypsum, but the calculator I used wasn't giving me a low pH. I ended up with a calculated 5.5 after dinking with it. I'm going to revisit Brunwater for the target profiles again. I guess I'll have to read up on kettle pH.